Dental implant is an artificial root used to make a whole tooth (from the root to the top) like a natural tooth at the extraction socket. An artificial dental root (fixture) made of titanium is directly planted in the alveolar bone in place of the lost tooth and a crown is formed on the top to function as a natural tooth. Crown - The external upper part of a tooth is covered with a crown for harmonised look with neighbouring teeth. 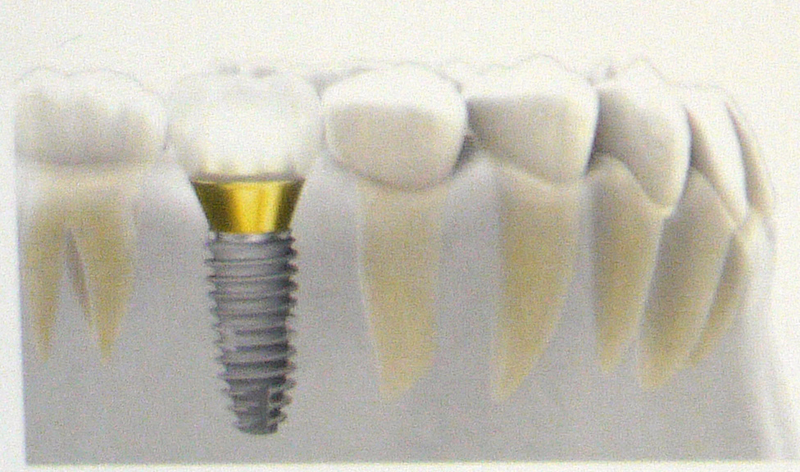 Abutment - The crown and implant are connected by using an abutment and screw. Fixture (Artificial Root) - The artificial dental root is planted in the alveolar bone in order to function as an alternative replacement for a natural root. Implant treatment process is divided into diagnosis, 1st surgery, 2nd surgery, prostheses installation and post-operative management. The first treatment is performed for implantation of fixture at the most ideal position. When bone healing and osseointegration with implant is developed after the initial implant operation, abutment post is connected with the implant in the second treatment. An artificial tooth is placed on the abutment post of the implant. 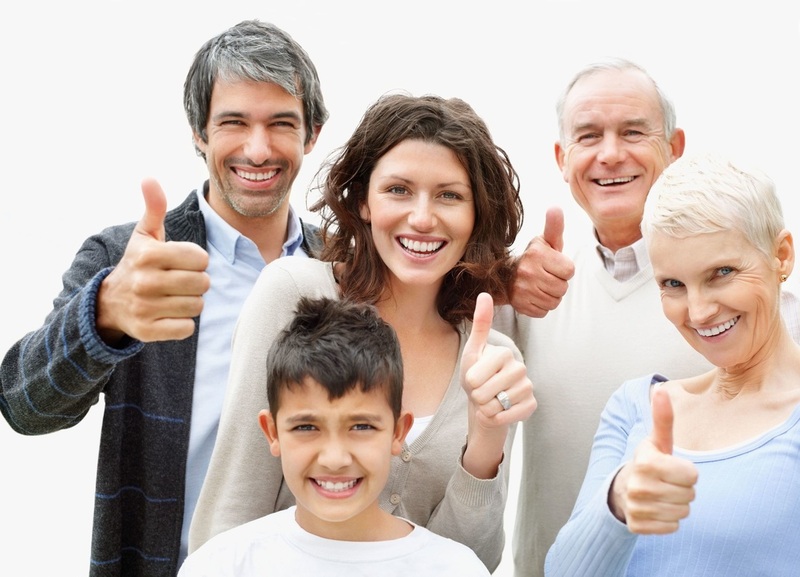 For dentures, the occlusal force is only 5-20% of natural teeth. Compared to this implant allows to chew food well like the natural teeth. Bridge is a treatment method to replace the missing teeth with artificial teeth by suspending across the distance between the adjacent teeth. The adjacent natural teeth should be prepared (trimmed) in order to support the artificial teeth, which may lead to damage of the abutment teeth and result in a bone loss after long-term use. 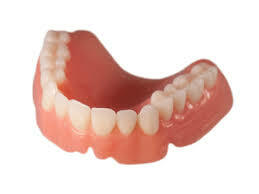 Removable dentures can be categorized into partial denture and complete denture Patients missing teeth partially are adequate to have partial dentures that uses clasps to gain retention from the abutment teeth, whereas, edentulous patients need a complete denture that gains retention from the gum tissue. Adaptation period is necessary because dentures might cause irritation or pain to the patients. Because of its weak biting force in comparison to bridge or implant, patients with dentures often have a hard time chewing tough and hard foods. Dental implants rehabilitate natural teeth by interfacing with the bone of the jaw or skull to support a dental prostheses- crown. An implant replaces natural tooth from crown to root where tooth loss has occurred. Implant is the closest rehabilitating method to natural tooth without damaging the adjacent teeth. Apply an ice pack on the cheek on the implanted location for 2 days after the surgery. Avoid excessive exercise, overworking, sauna, or bath for 3 days after surgery. Do not brush the operated area for 2-3 days. Use mouthwash twice a day for 7 days. Avoid drinking and smoking for 2 weeks. Chew foods with the non-operated area of the mouth and avoid hot foods in the meantime. In case of maxillary sinus surgery, do not blow your nose excessively and do not spit. If bleeding is serious, place a cold-wet gauze in your mouth. 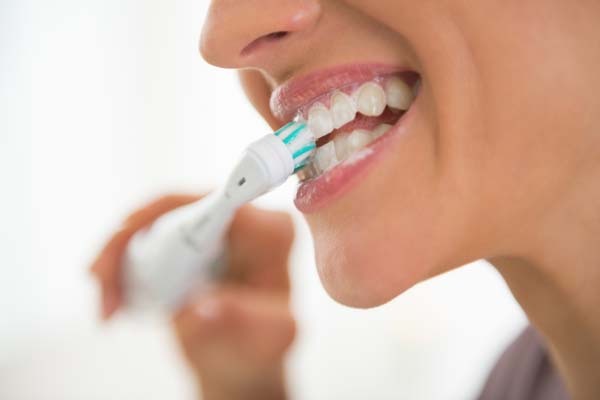 If bleeding continues, visit the dentist for an adequate treatment. Swelling may be present for 2-3 days after the operation, Apply ice packs for the first 2 days and if swelling is more acute, use of hot pack may be helpful for relief of the symptom. If the pain in the swollen region seems unusual, visit the dentist for an adequate follow-up treatment. 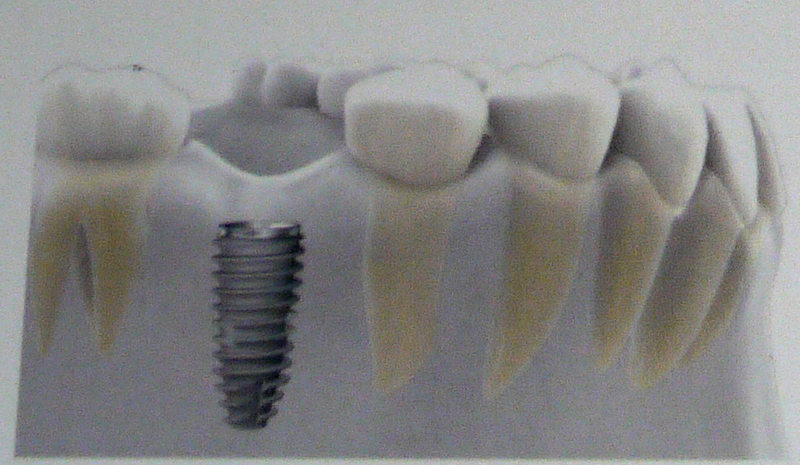 Is it painful to receive an implant treatment? Implant operation is performed with local anesthesia. Some swelling and mild pain may remain after the surgery depending on individual circumstances. You may not worry about pains if you take your medicine as prescribed by the dentist and keep regulatory precautions after the operation. How long will it take to fully complete an implant operation and treatment? Although it depends on implant quantities and the complexity of treatment, simple implant surgery usually only takes 30 minutes. The period of osseointegration of maxillary surgery is 4-6 months and mandibular case is 2-3 months in general. However, the treatment period may vary greatly depending upon individuals.